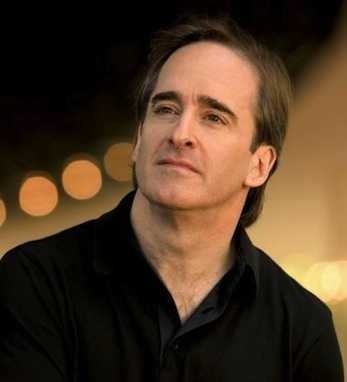 James Conlon is one of the world’s most accomplished conductors. He has been music director of the Cincinnati May Festival for 37 years, the longest serving music director in the May Festival’s 143-year history (exceeding that of founder Theodore Thomas by three years). His is also one of the longest-tenured conductors of any major classical music organization in America. Conlon, 66, has only one explanation for that: “Love,” he said. “Love for everything -- the tradition, the hall, the repertory.” He calls the May Festival a “non-negotiable” commitment and programs around it each year. That is saying a lot for such a busy and versatile conductor. Conlon is music director of Los Angeles Opera and becomes principal conductor of the RAI National Symphony Orchestra in Turin, Italy this year. Since his 1974 debut with the New York Philharmonic, he has served as principal conductor of the Paris National Opera (1995-2004), music director of the Rotterdam Philharmonic Orchestra (1983- 1991) and general music director of the City of Cologne (1989-2002), where he was music director of the Gürzenich Orchestra, Cologne Philharmonic and Cologne Opera. He headed the Ravinia Festival in Chicago from 2004-2015 and has conducted more than 270 performances at New York’s Metropolitan Opera, where he made his debut in1976. He has also conducted at the Teatro alla Scala, the Royal Opera at Covent Garden in London, the Lyric Opera of Chicago and the Teatro del Opera di Roma. Born in New York City, Conlon studied at the Juilliard School. He played piano and violin but settled on conducting as his true calling. Equally skilled in the symphonic, operatic and choral/orchestral literature, his repertoire is vast, encompassing old music, new music and forgotten music. He has made a special commitment to reviving works by composers silenced during the Nazi era, including Alexander Zemlinsky, Viktor Ullmann, Pavel Haas, Eric Wolfgang Korngold, Erwin Schulhoff, Franz Schreker, Ernest Krenek and Karl Amadeus Hartmann. Conlon was instrumental in the creation of the OREL Foundation, a resource for the study of suppressed composers, and the Ziering-Conlon Initiative for Recovered Voices at the Colburn School in Los Angeles. Conlon’s advocacy for music and the arts extends beyond live performance into all media, including print, film and DVD. He has a blog (“A Rich Possession”) at www.musicalamerica.com and he writes and lectures widely on music and the importance of the arts to society. To access his writings, see www.jamesconlon.com. Conlon came to Cincinnati on the recommendation of previous May Festival music director James Levine after Levine witnessed his May Festival debut in 1978 in Dvorak’s Stabat Mater. He became music director of the Festival the very next year, at the age of 29. Conlon has introduced many works to the May Festival, including Liszt’s oratorio “Christus” (1985), act I of Wagner’s “Die Walküre” (1986), Rachmaninoff’s “The Bells” (1989), Berlioz’ “L’Enfance du Christ” (2007) and Alexander Zemlinsky’s Psalm 13 (1998), and Psalms 23 and 83 (2001). In 1980, Conlon initiated the May Festival’s annual performance at the Cathedral Basilica of the Assumption in Covington, Kentucky. In 2004, Conlon led the first performance in New York City of Nathaniel Dett’s oratorio, “The Ordering of Moses,” a performance that was broadcast live over NPR and New York’s WQXR. The event took on added significance since Dett’s work was taken off the air (in progress) by NBC Radio in 1937 because of racial prejudice (Dett was African-American). Conlon has received many honors during his professional career. Among them are the Roger E. Joseph Prize from Hebrew Union College-Jewish Institute of Religion (2013), the Crystal Globe Award from the Anti-Defamation League (2007), and the Zemlinsky Prize (1999). He was one of five initial winners of the Opera News Awards. In 2002, he received the Légion d’Honneur, France’s highest distinction, and in 2004 was named Commandre de l’Ordre des Arts et des Lettres by the French government. He has also been awarded the Medal of the American Liszt Society (2008), Italy’s Premio Galileo Award (2000) and the Zemlinsky Prize (1999). He has received two Grammy Awards for Kurt Weill’s “Rise and Fall of the House of Mahagonny” with Los Angeles Opera (Best Classical Album and Best Opera Recording). In 2009, he was inducted into the Classical Music Hall of Fame. There was a standing ovation as Conlon walked to the podium at Music Hall before his 30th anniversary May Festival concert in 2009. That performance of Mahler’s Eighth Symphony with 500 performers was a sellout, a rare event in 3,416-seat Music Hall. It bore eloquent testimony to Conlon’s artistic eminence and his unparalleled contributions to the Cincinnati May Festival.